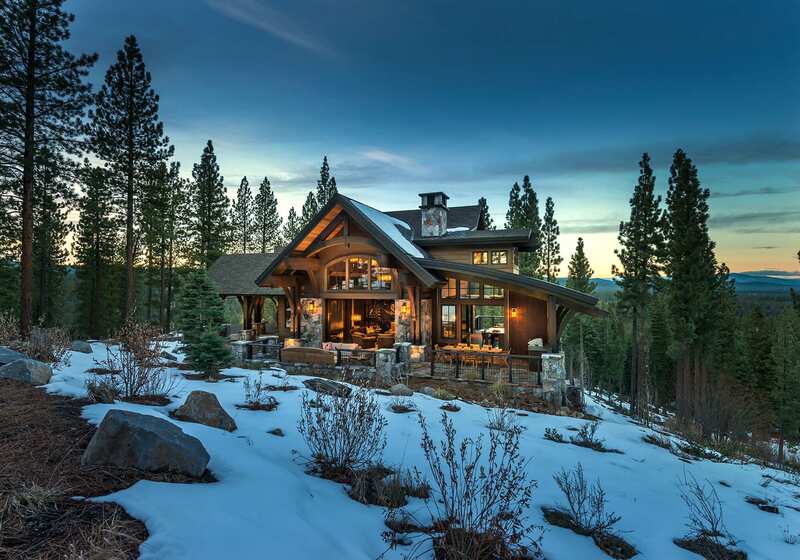 In late summer of 2012, Don Fulda of Truckee’s Ward-Young Architecture & Planning got a call from a local realtor who had clients checking out Martis Camp lot 546. The clients, who wish to remain anonymous, wanted to be sure the steeply sloped site, almost one and a half acres located near the Martis Camp private ski lift, was buildable. Fulda examined the lot and determined that about 40 percent of the lot was on a slope of 30 percent or more, which put it in the no-build zone. Still, he could work with the remaining 60 percent. “The concept was we could bend the house around the no-build zone,” Fulda says. That was far from the only challenge, however. The homeowners wanted to capture the views to Lookout Mountain on one side of the home and to the Martis Valley on the other. The homeowners had never built before, and they were determined to do it right. Early in the process, they identified their project team: Fulda, Tony Hardy Construction and Kasey Hudson Design. This theme of “team” ran through the project. The couple, who live fulltime in Los Gatos, are passionate San Francisco Giants fans, as are their two teenage sons. Given the family’s pastime and the emphasis on team, it was especially fitting when Fulda developed the designs. Working with the other Ward-Young architects, he created a structure that bent around the no-build zone, which also created a sense of privacy and shielded it from the neighboring houses. Because of the slope, the house is set over three stories. Yet, because of the bending, Fulda wanted to ensure that the home still had a sense of connectedness. 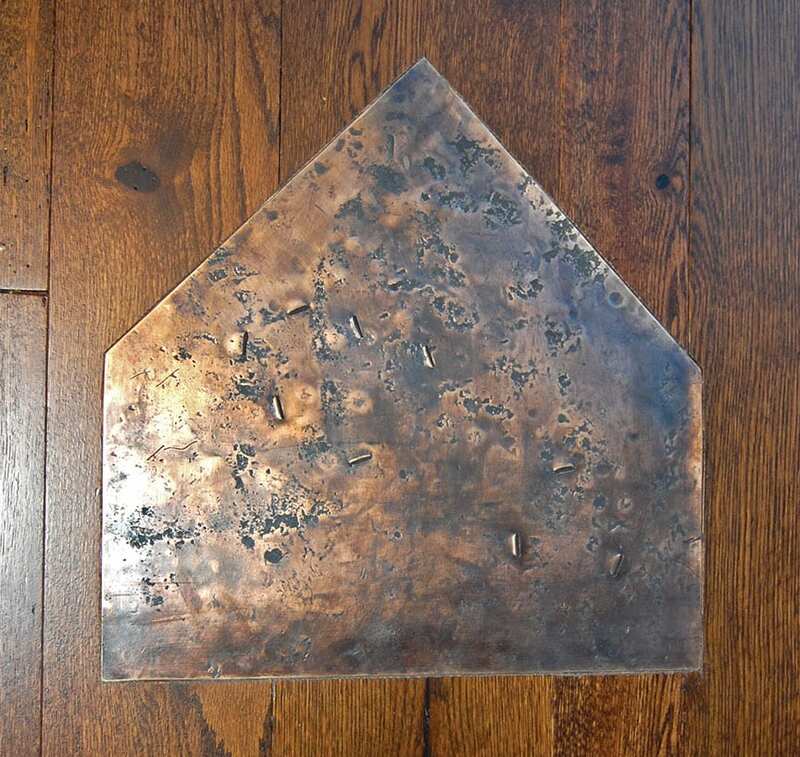 As he shared the blueprints with and gathered input from the Ward-Young office, someone noted that, because of the shape of the stairwell and the openness between the floors, there was an area in the plans that resembled home plate. Helping to define the unique geometry—and highlighting the team mentality—is the three-story self-supporting steel stairway in the middle of the house. Designed and built over 12 months, the prominent piece blends both form and function as it winds through the middle of the structure. “The stair became a piece of art,” says Hudson, who refers to it as the “hub” of the home. Created by Hunter Metal, each tread is made of solid white oak supported by steel and weighs about 300 pounds. Steel mesh functions as the railing, which, combined with the hidden connections, allows one to look through the stairs to the views beyond. The result is a feat of engineering that looks flawless, while only hinting at the skill, patience, collaboration and logistics necessary to its execution. To set the stairs off, a wall, which functions as a backdrop, is covered in reclaimed wood from an Idaho barn. Spherical lights hang at differing levels from the ceiling to illuminate the entire stairwell; the longest one drops 37 feet. On the main floor is the entryway, a spacious great room with views to the mountain, the kitchen with a large quartz island and built-in breakfast nook with custom basalt table, and the dining area. 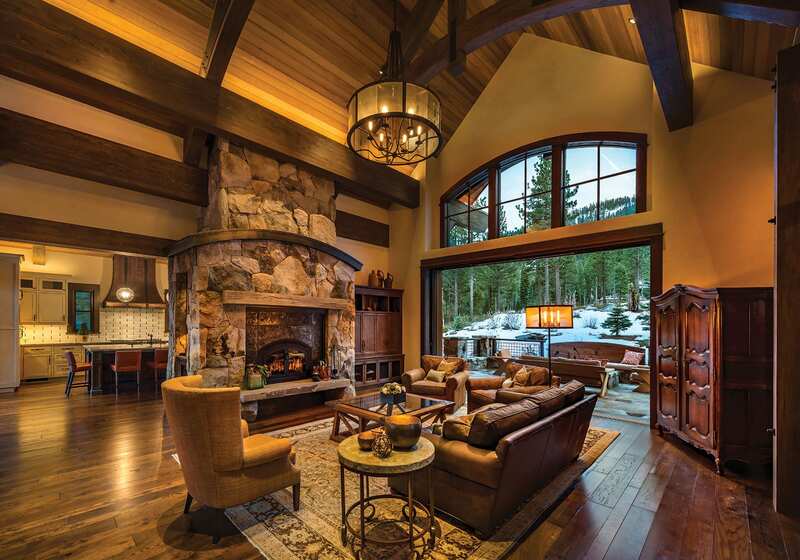 Sliding glass doors offer views to the mountain and an outdoor fire pit on one side; on the other is a covered porch that functions as an outdoor living space and features views to the Martis Valley. The home is designed in what’s known as a transitional style. “They told us they wanted something with a little bit of a modern bent,” says Fulda. That meant blending traditional forms with contemporary detailing, such as the home’s exposed steel, the large expanses of glass and the curved rooflines over the kitchen and the master bathroom. To merge the contemporary and traditional, Hudson drew from the homeowners’ lives together. As the husband had been in the military, the couple had lived in many cities nationally and abroad, including Belgium and London. “Getting to know the family is key,” says Hudson. Elements of these places are noticeable in the interior. For example, the kitchen includes Old World features like a large copper hood, while natural clay walls are used extensively, paired with a darker trim and reclaimed woods. Large area rugs come from the husband’s time in Turkey. A focus on indoor/outdoor living is essential Tahoe, while the steel—like that used in the center stairwell—recalls the industrial look of London. Still on the main floor, the home bends in contour with the slope of the land, leading to the private wing of the house. The master suite features a freestanding closet complete with built-in shelving and reclaimed wood. A basalt fireplace is topped with COR-TEN steel that hides a television, while the drapes that cover the sliding doors to the deck are made of a fishnet material. The master bathroom features a curved roof, a three-showerhead bath and limestone flooring. Steps up from the master wing lead to a den, which also functions as the kids’ hangout, complete with TV and comfy couch, bed and an additional bedroom. “For such a large house, it has these intimate spaces,” says Fulda. Downstairs is the rec room with pool table, which opens outdoors to a hot tub, as well as large couch and TV, with a corner fireplace. Acoustical ceilings deaden the noise, which is helpful as the center staircase design leaves the home mostly open. “The ceiling added a sense of calm,” says Hudson. Behind the couch is a long bar made of white oak by Finishing Touch Carpentry. Red leather barstools, hammered copper pendants and a blackboard and antique mirrors on the back wall give the feeling of an old saloon, while the artwork—paintings of a bullfighter, a gorilla and Mighty Mouse—add a sense of whimsy. A wine room is accentuated by German antique glass, and set into the stained white oak flooring—and visible from the upper floors—is a bronze home plate, created by Truckee’s Mountain Forge and imprinted with cleat marks specially designed as if sliding in from third base. Farther down the hallway are the two boys’ rooms, which, Fulda says, the homeowner requested be as equal in size as possible. Ward-Young honored that request, and even in these rooms special care was taken to design the space to the family; one of the boys is a pitcher, and the tilework in his bathroom mimics the dimensions of a strike zone. Artisan touches decorate the home. In the entryway, a partition is made of inch-thick glass. Created by a Fremont artist, the piece was created by individual glass chips melted in an enormous kiln; the result resembles a sheet of ice. 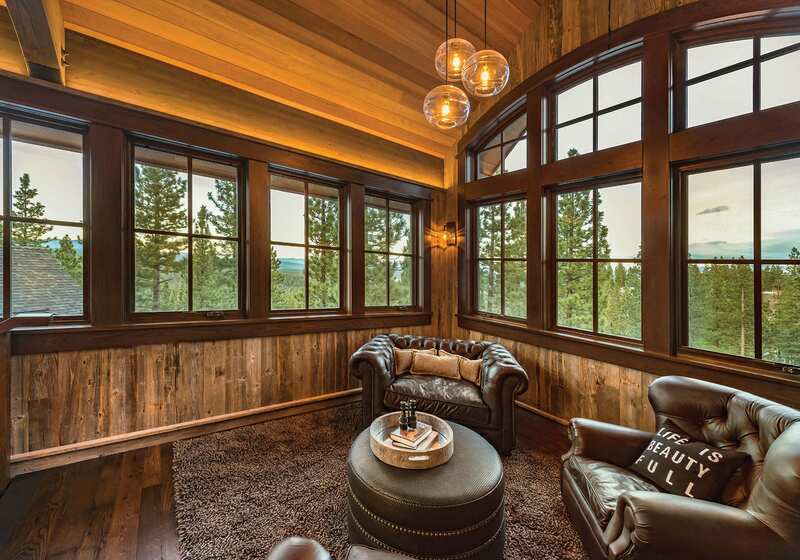 Lighting and furnishings throughout, such as the dining table and the entryway bench made from wood and a thick chairlift cable, are made by Truckee’s Barkley Moore. 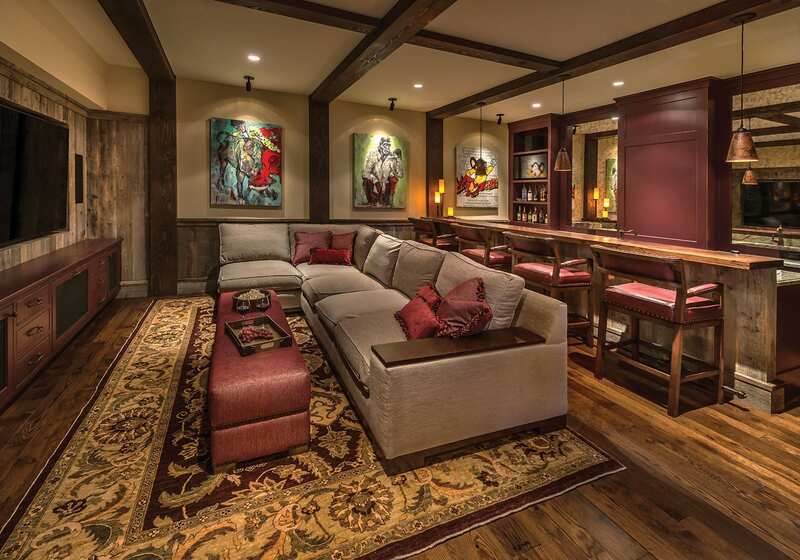 Truckee’s Mike Holman completed much of the cabinetry and built-ins. The high standard of craftsmanship is obvious throughout the home, from the overall architecture to the level of detail in the fireplace’s rockwork.